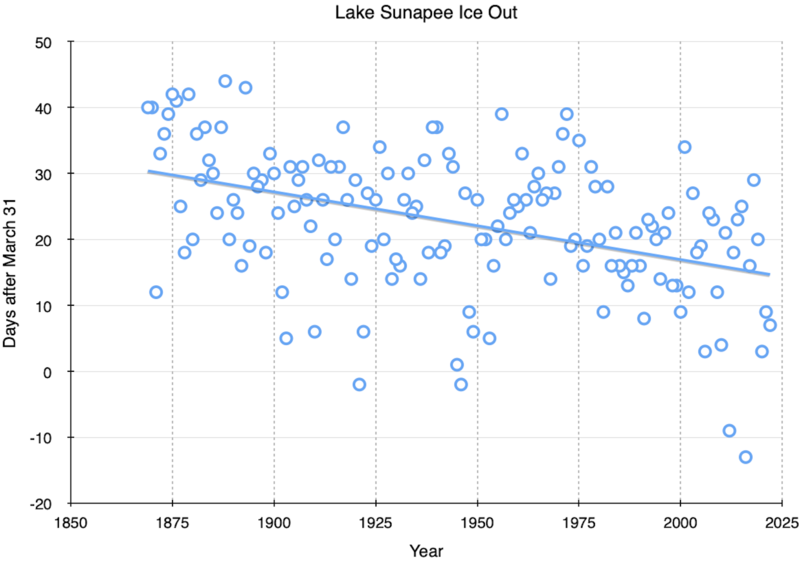 Each circle shows the date of ice out for Lake Sunapee in a year. The linear regression is shown, and gives about a one day earlier per decade trend. 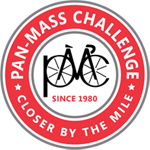 The data in the graph, produced by an iCloud spreadsheet, are from a table at the Town of Sunapee website.